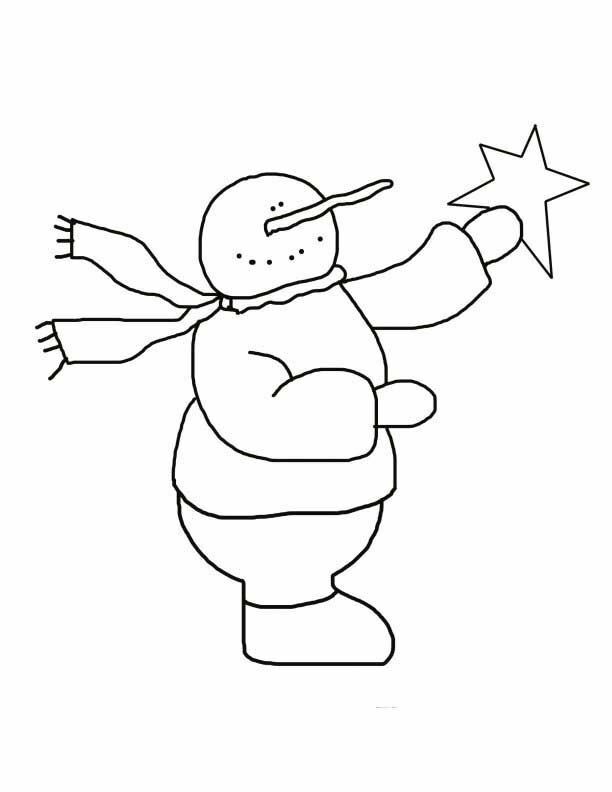 Silly snowman template reaching for the stars. Black and white outline for coloring, stencils, crafts. Free printable snowman download.